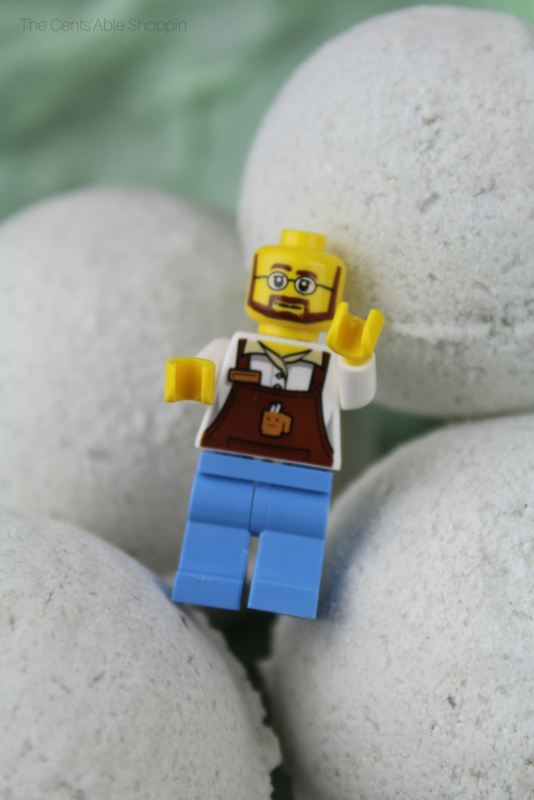 These DIY LEGO Bath Bombs are fun and simple to make. 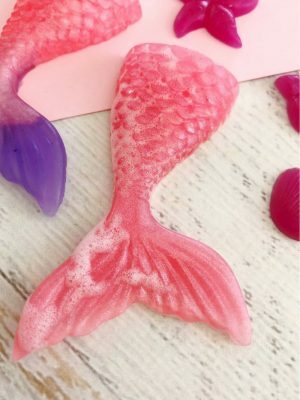 These bath bombs will knock your kids socks off when they see what’s inside! Talk to any kid these days and you will quickly find out that they are interested in either LEGOS or Minecraft – for some kids, it’s both. LEGOS are a big deal around our house – and lately, it seems like they have taken over. As I walk from room to room, I see LEGOS on tables, kitchen counters, our homeschool table, even the corners of the floor. If I’m super lucky, I cross paths with them at 3:30 a.m. when I get ready to turn in for the night. For this mamma, I have a love/hate relationship with them. I love that they keep my kids busy in a creative kind of way, but on the flip side, stepping on them at that time of the night is not fun at all. Just a few nights ago I stepped on three. 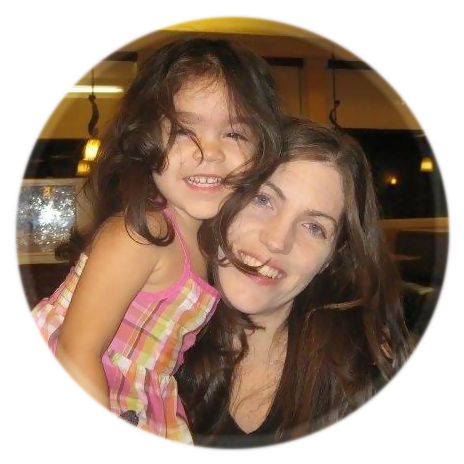 They were camouflaged on our rug, and I was tired – getting ready to hit the hay at almost 4 a.m., my foot hurt something fierce. Days later, I’m still recovering – limping (yes!) but recovering! My first thought was to throw them, but then my kids love building and every day they seem to come up with a new, creative build for their sets. My kids love to take baths with bath bombs, so why not stuff them inside the bath bomb so they have a surprise next time they jump in the tub? 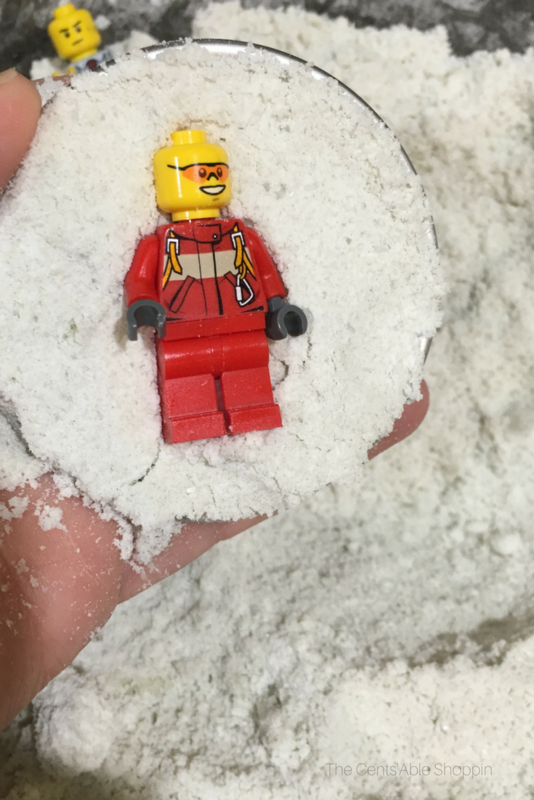 Welcome to DIY LEGO Bath Bombs! If someone would have told me that the *secret* to getting kids to take a bath was making bath bombs, I would have gone into the bath bomb business years ago. 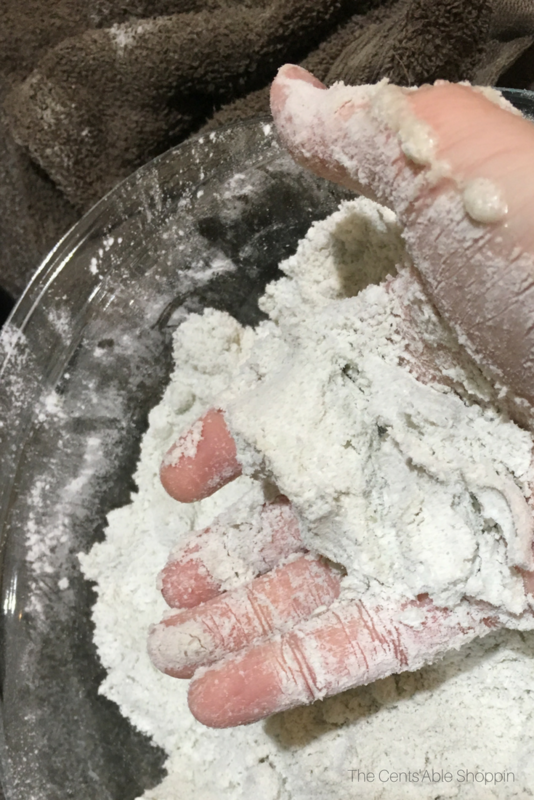 When I make bath bombs, it’s almost as if our children have instant radar. They absolutely LOVE watching me make them, and they love to stare at them off and on for the next 12 hours while they dry. Once they are wrapped, they squeal with delight and ask me 1,004,495 times if they can have a bath. They have been known to have as many as 4 baths in ONE day just because they love to sit in the bath and watch them fizz. 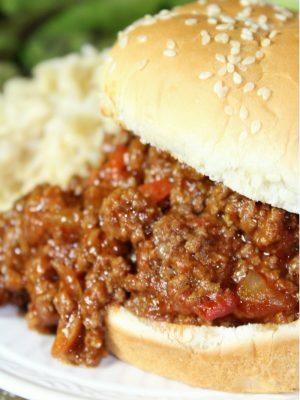 Combine all of the dry ingredients and mix well with your hands. Then, add your oil and water — you will need very little. The mixture should be slightly damp. Wait 24 hours for them to dry outside of the mold, and then wrap them in cello bags and use a twist tie – store them in an area that doesn’t have moisture (so avoid the bathroom). If you have kids, store them up high — unless you want your kids using all of them on the same day – because trust me, they will. 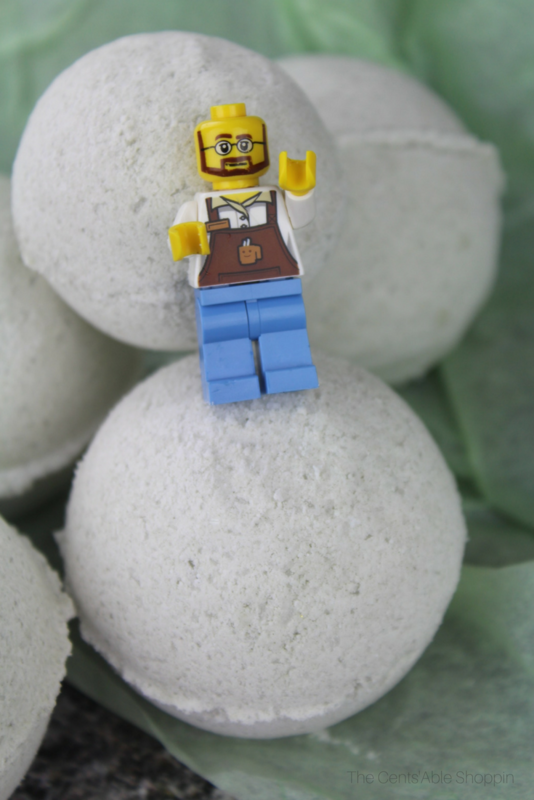 Once you have these DIY LEGO Bath Bombs down, they too will be one of your favorite items to DIY and gift. 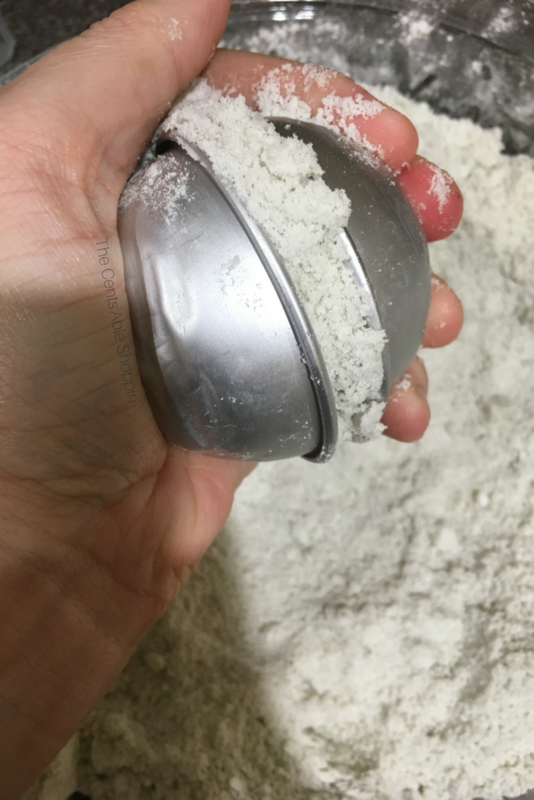 I use Cello Bags that are 4×6 in size that fit perfectly around the large bath bombs – you can find smaller bags that are 3×5 if you opt to use the smaller bath bomb molds. 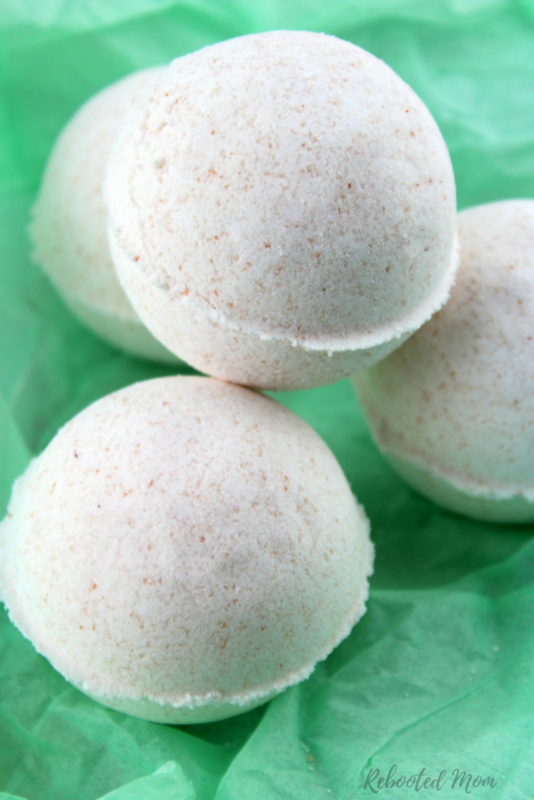 These Bath Bombs are so easy to DIY, and great to give as gifts! 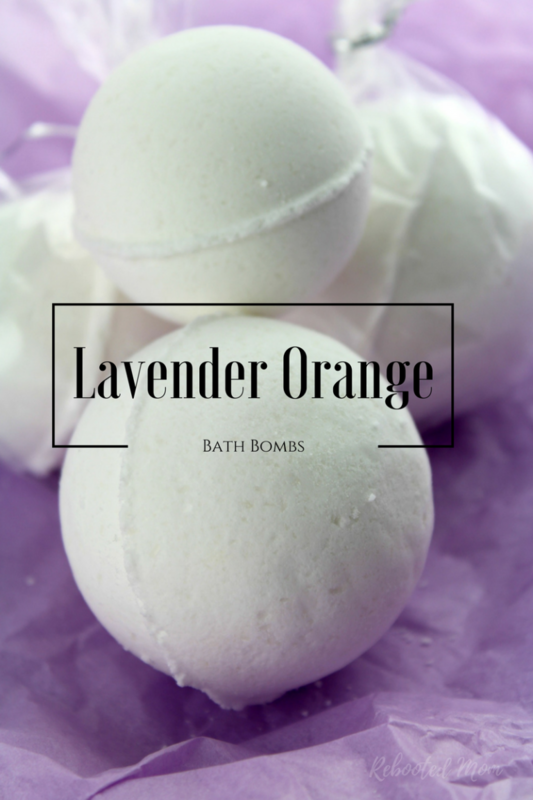 This recipe yields 4 large bath bombs. 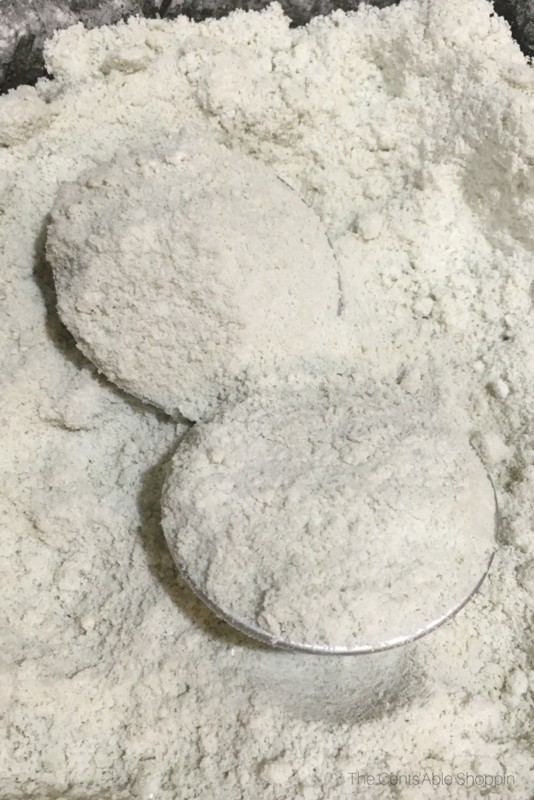 In a large bowl, mix together the dry ingredients. 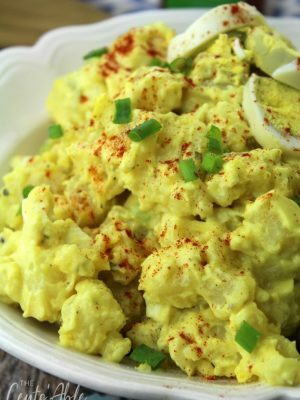 In a separate bowl, combine the wet ingredients. 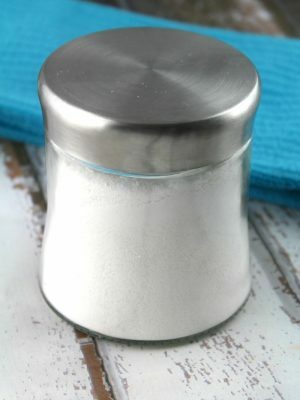 Add the wet ingredients to the dry ingredients very slowly. Mix with your hands until combined. The mixture may not seem overly wet and that’s fine – you want it to be a very slightly damp feel like sand. It should hold together when you squeeze it. Fill each half of the mold – pack in tightly then overflow each end. Place a LEGO figure in one of the halves and push him down. Pack a little of the mixture over the top of him to make sure he stays put. 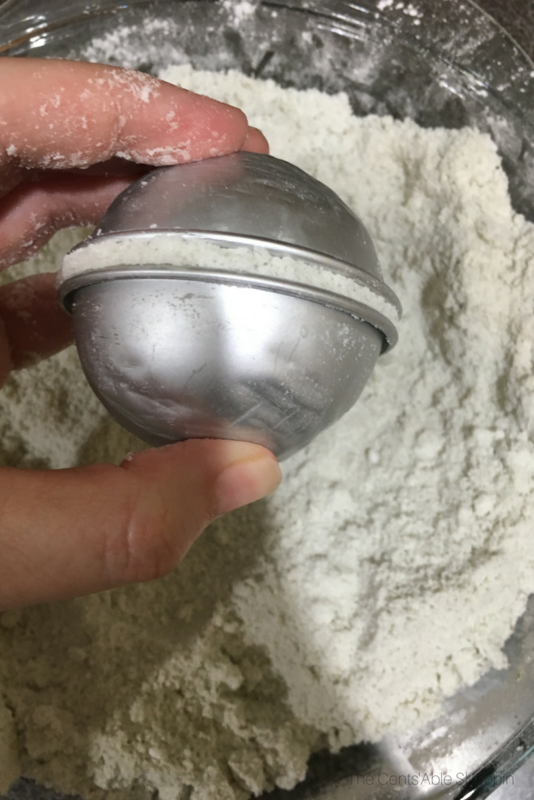 Push the halves together firmly, and remove excess powder that squeezed out of the circumference of the mold edge. Let the mold sit with both top and bottom for several minutes. Remove half of the mold and allow to dry with the other half on 6-8 hours. Hold the uncovered side face down in your palm and lightly tap on the back of the metal mold with a spoon to remove. Let dry an additional hour and then store by wrapping tightly. Keep away from moisture, and do not store in the bathroom. That’s it! 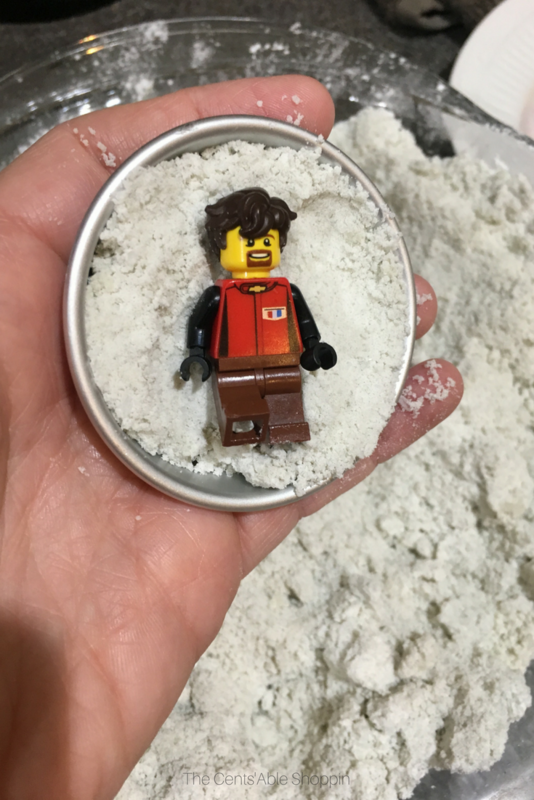 When you are ready to use them, unwrap and toss one in the tub — our boys had no idea there was a LEGO man in the bath bombs. Once they discovered them, they thought I was the coolest mom on the planet. Icing on the cake! 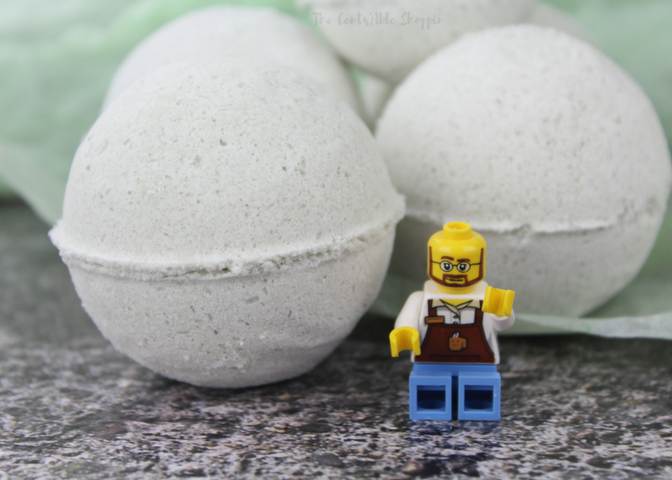 :) I hope your kids love these DIY LEGO Bath Bombs as much as mine do! 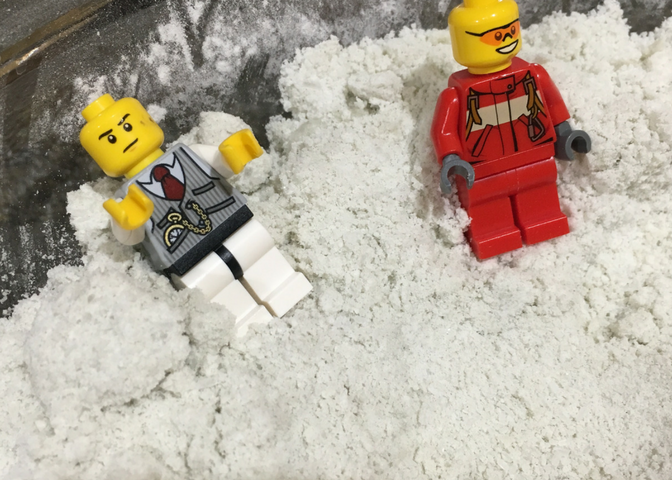 Have you ever considered using LEGO men in your DIY Bath Bombs? How did it turn out?